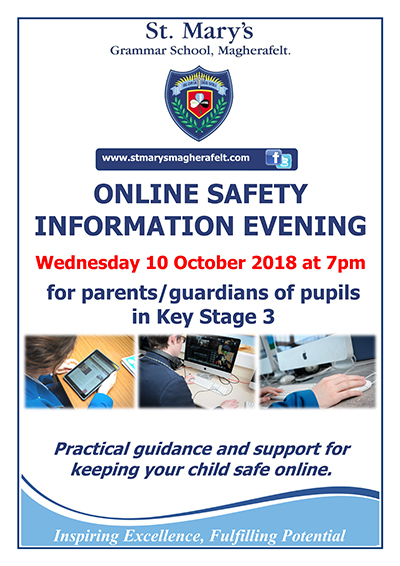 St. Mary’s Grammar School will be hosting an Online Safety Information Evening on Wednesday 10th October 2018 at 7pm, for parents / guardians of pupils in KS3. With the ever-changing nature of social media and internet, we understand the pressures and concern our parents face with managing and monitoring the online activity of their children. This information evening will offer us the opportunity as a school to further support our parents as we will provide practical guidance on ways in which they can keep their children safe online.